Hello friends both fury and human. The names Phoenix the Fearless or Phoenix to my pals. I have other nicknames but thats usually my humans and since we’ve only just met i won’t share them too soon. 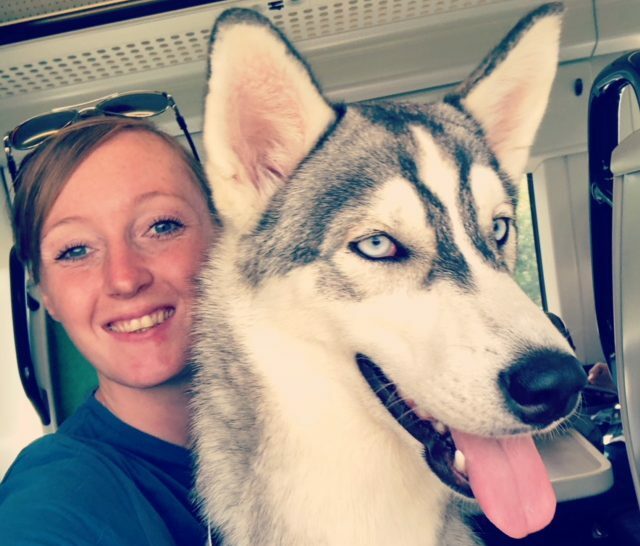 Im a female Siberian Husky – the female part is important to share as apparently i can look quite masculine in some photos. Girl? Boy? Just a tomboy! Im the youngest in a family of 5 – 2 huskies, 1 border collie, 2 humans. Im a Geordie girl currently travelling Europe with my family. Im hoping to use this blog to raise awareness around dog friendly travel. I don’t want my humans to leave me behind when they go exploring so if we share our information maybe you can travel with your 4 legged friends. Throughout our adventures we run, hike, walk, canoe, bike, go by train, by bus, by boats and by plane. Take a look at my blog for the latest update.